A warm welcome to Ashfield Park Primary School website. We are a large inclusive school situated in the most wonderful grounds in Ross-on-Wye. We are seen by many who visit as a happy, caring and vibrant school that strives to nurture strong achievement and success for all. Being a large school (but with class sizes on average around 25 pupils or below) has many advantages such as the wide range of academic, sporting and musical learning opportunities we can offer our children. 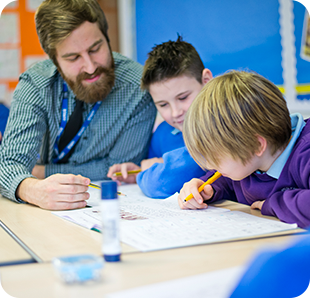 All our pupils are valued as individuals with different needs, talents, strength and aspirations. We serve a diverse community who have high ambitions for their children and we aim to foster strong positive relationships with all parents. We provide a happy, secure and creative environment in which all members of the school community can grow in confidence, develop a strong sense of moral responsibility and be challenged to achieve their full potential. Respect, Tolerance, Resilience, Integrity and High Aspirations.